Easy to use and functional IcoFX is a very good solution to make a final touch to icons. 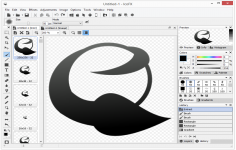 IcoFX is an icon editor, allowing to transform them, add effects (nearly 40 effects are available), adjust transparency, change the resolution. 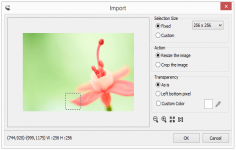 The software provides a simple and familiar interface, in line with a Photoshop or Fireworks, with toolbars and palettes rigor. A series of vignettes allows access to different versions of the icons in a click ( 16 colors, 32x32 ... ). IcoFX handle transparent PNG and offers effects and corrections of all kinds battery: shadows are on hand to decorate the creations opacity, saturation, blur and many and varied accents. 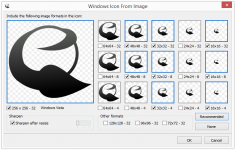 The software supports extracting icons from executable.